Our word disciple comes from the Latin translation of the Greek word mathétés. Literally, both the Latin and the Greek words mean “learner” but not the type of learner we are used to today, not a learner who learns how to read or write separate from the other things of life. A disciple, in ancient times, learned an entire “way of life” from a master. The Christian’s master is the Lord. When he walked the earth, he was called rabbi, the Hebrew word for teacher. His disciples in the early Church were called People of the Way before they were called Christian (see Acts 9:2). Our Lord today is still Jesus who teaches us through the Holy Spirit. He told us he would send us a new advocate who will teach us everything and remind us of all he told us (John 14:26). Today we learn the Way by being open to the urgings of the Spirit in our lives. We open ourselves through our prayer life; by participation in the sacramental life of the Church; by listening to, reading and reflecting on Scripture; by spiritual reading, listening to homilies and spiritual talks; by our participation in faith formation programs; by leading a reflective life; by spiritual direction and/or participation in spiritual support groups; etc. To view opportunities to learn the Way at St. Luke, click HERE. A disciple is also a “practitioner” of the Way. It is not enough to simply learn the way as if it is an academic subject. A true disciple puts what is being learned into practice and becomes a follower of the Way too. There are many references to individuals in Scripture who fail to follow the Way, notably the Rich Young Man of Mark’s Gospel who was told what he needed to do and invited to follow Jesus. Instead, he went away sad because he had great wealth. 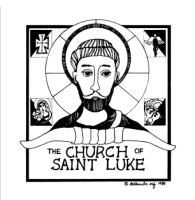 (Mk 10:21-23) To look at a variety of ways to become a practitioner of the Way at St. Luke, click HERE. Finally, a mature disciple is a proponent of the Way. This aspect of discipleship fulfills the command to “go and make disciples of all nations…” (Mt 28:19) In our tradition, this making disciples is called Evangelization. The primary was we evangelize is by being a authentic practioners of the Way, by witness of life. As St. Francis is often quoted as saying, “Preach the Gospel at all times and, if necessary, use words.” Witness of life will, at times, open situations up to explicit evangelization, for example when someone asks why a person did an act of kindness. Parents evangelize their children by example and by explicitly teaching them the Way. Religious educators help in this process. Couples and good friends evangelize when they help each other grow in holiness through their relationship. Others evangelize explicitly at school, in the marketplace or at the workplace by paying attention to opportunities to share the Way.